India has taken substantial steps to achieve its development objectives while addressing the threats posed by climate change. The Government has introduced National and State Action Plans on Climate Change, set up new institutions such as IREDA to scale up financing and established the Solar Energy Corporation of India (SECI) to facilitate implementation of national strategies. In this context the public sector has a key role to play by providing the right signals and incentives to drive private investments. 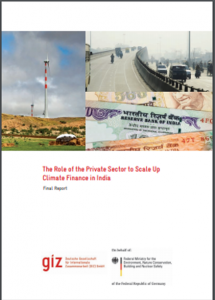 In addition to the signals from a targeted low carbon and resilient policy framework, private sector investment decisions are influenced by broader macroeconomic policies, such as electricity market structure, fuel subsidies, central bank guidelines and international financial regulations (e.g. Basel III). private sector to scale up investment. 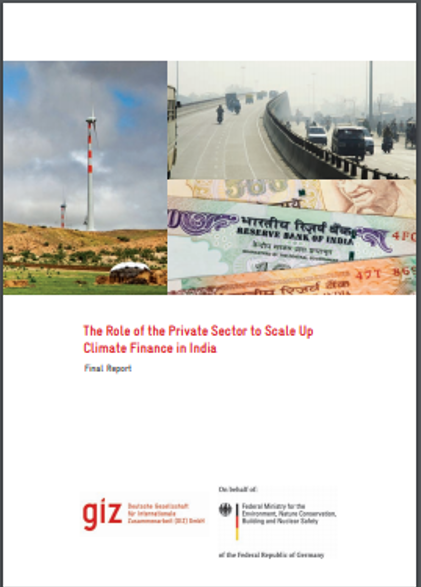 A key part of the study was to develop a framework to define and measure private climate finance. A number of project developers, financiers, donors and government officials were consulted to obtain relevant information and discuss the findings.